I have been sourcing product from DWA for over 15 years and it is my go-to resource for fabrics, wallpaper and home furnishings in Calgary. Their professionalism and attention to service and client care is exceptional. 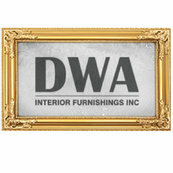 DWA has been beside me through the growth of my business and continues to support and champion my successes. The lines they represent are true to my brand from aesthetic to integrity and it's always inspiring spending time in their showroom.